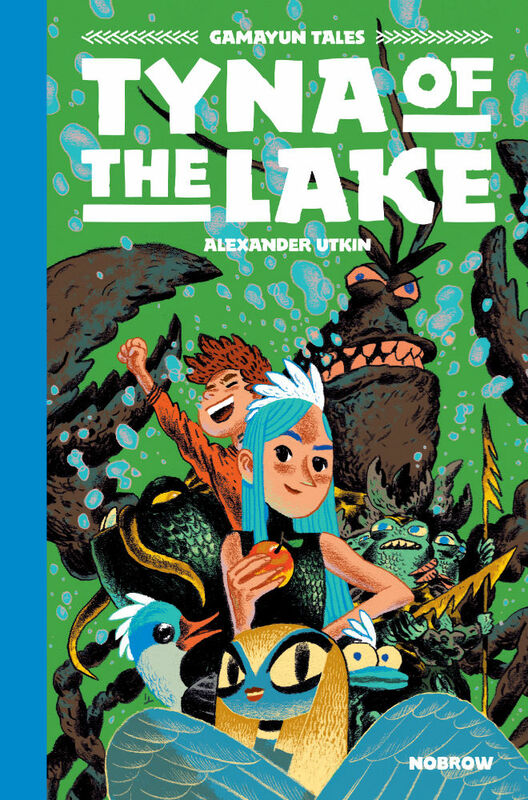 While a fourth album has already been announced Tyna of the Lake effectively brings the story arc that started back in The King of Birds to a close, giving us a trilogy of tales that will delight readers of all ages. 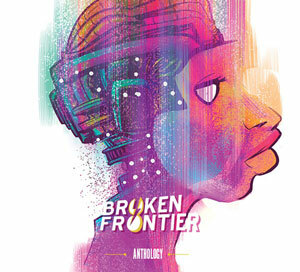 This third book is notable for its parallel coming-of-age themes of identity and self-discovery as both the merchant’s son and Tyna explore and question who they are where their futures lie, and in the process realise that their differences actually unite them. Once again Utkin’s complex and intricate use of extravagant colour to create a sense of place and otherworldliness is sublime. 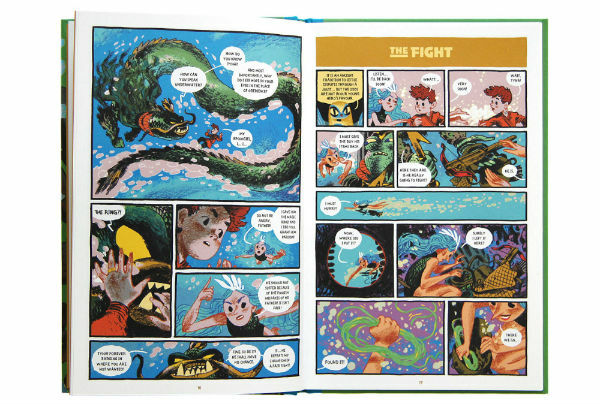 It’s been one of the vital strengths of Gamayun Tales to date and here the resonant deep blues and greens establish the underwater environment with rippling effects around the characters constantly reminding us of where they are. As with previous books, the expressive facial characterisation and character design is integral to creating empathy with the cast and emphasising the supernatural reality of the book. 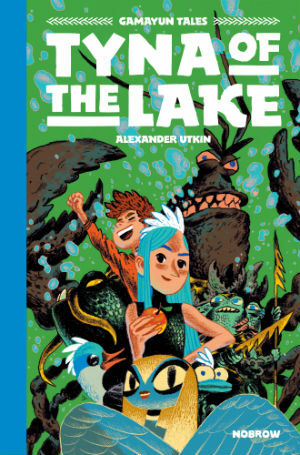 While the mythical world-building is as impressive as the first two volumes, Utkin flexes some different storytelling muscles in Tyna of the Lake with some tighter-panelled sequences providing a more animated flow between pages, and even the odd carefully structured slapstick punchline. 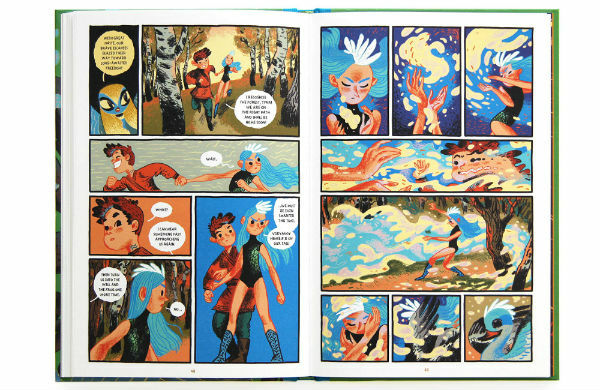 Alongside Lorena Alvarez’s Nightlights books (reviewed here at Broken Frontier), Nobrow have found another series in Gamayun Tales that deserves the same acclaim and following of Luke Pearson’s Hilda books. Both are a perfect entry point to the form for younger readers but, crucially, they are also appealing reads for the slightly older kids among us (! ), enticing us not just with the magical worlds they conjure but with the confidence of Utkin’s standout storytelling craft.